Dentistry is not often in the news but several months ago there were some stories about the lack of evidence for the benefits of flossing. It was reported that the recommendation to floss was dropped from the U.S. Dietary Guidelines this year, after having been recommended since 1979. An enterprising reporter wrote to the government and was told that there was just not much evidence for the benefits of flossing and that is why it was dropped. Like everyone else, I was surprised at this as I had always accepted the benefits. The stories said there was no research showing the benefits of flossing. I don’t remember reading about any research when I was in dental school but it is just common sense that cleaning between the teeth would reduce the incidence of dental disease. My observations are just anecdotal, both with my personal experience and what I have seen in 25 years of dental practice. My personal experience is that I have a small cavity between two teeth in my mouth that has not progressed for over 25 years. I believe it is due to daily flossing. My personal observations are that my patients who floss regularly tend to have fewer cavities and less gum disease. I have had a number of patients ask me about the stories they had seen and what I thought of this issue. Of course, I continue to recommend flossing. You would have a hard time finding any dental professional saying that flossing is not beneficial, regardless of a lack of research. I looked a little deeper into this topic and it turns out that there really is not a lot of research out there. 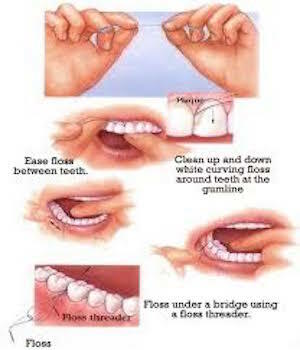 There are short term studies showing that flossing reduces mild gum disease but no long-term data. Most of the studies are funded by industry and so there is more chance of bias. The studies that are out there do show that flossing results in a lowering of plaque. 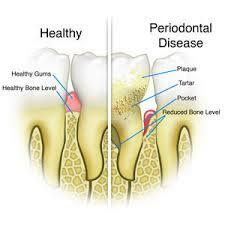 But there is no hard evidence that flossing prevents periodontitis, the most severe form of gum disease. The newsletter goes on to say that even though scientific evidence is lacking, there isn’t any harm in flossing and it is low cost so why not do it daily? I agree completely. I also believe that everyone who works in a dental office, having seen the benefits of flossing, would agree with that as well and that is enough for me to continue recommending it. I couldn't have said it better myself. I also continue to recommend it to my patients on a daily basis. It is unfortunate that AP gave so much false credibility to this issue. I couldn't have said it better myself. I think it's unfortunate that the media announced that flossing didn't have enough evidence to support it. I am still telling my patients to floss regularly and I also see arrested caries on people who have excellent hygiene.